ChemTALKS is an Ohio State University student-run organization that resides in the Department of Chemistry and Biochemistry. The field of chemistry is so incredibly diverse, that it is sometimes challenging for a department alone to highlight all of the disciplines and paths of chemistry in a given year. This is where ChemTALKS comes in! 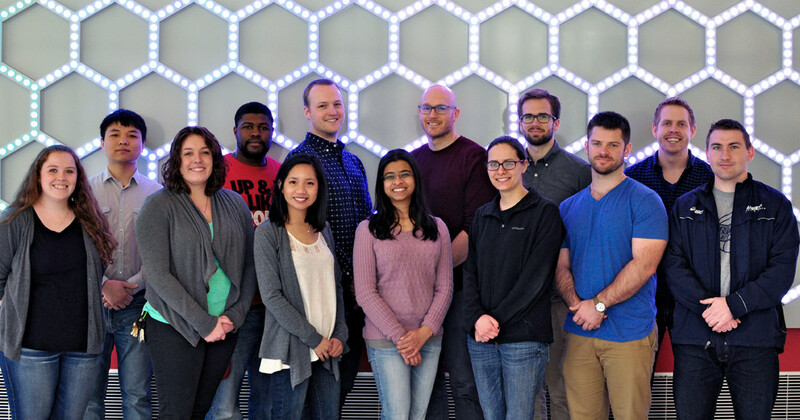 We are a devoted group of graduate students committed to planning exciting lectures and providing opportunities for students of all disciplines to interact with established individuals in the scientific community. Our efforts include sponsoring lectures such as the Edward Mack Jr. Award that honors a prestigious speaker in the scientific community (who is also selected by graduate students) to honoring scientists who are both exemplary researchers and educators. We also are hosting researchers and entrepreneurs of local companies and in-house faculty to give exciting lectures. We are always open to new ideas for lectures or seminars and would love to hear any suggestions. We would also like to acknowledge the Ohio State University Student Union, the Columbus Section American Chemical Society, the Center for Emergent Materials (an NSF-funded MRSEC), the Robert H. Lawrence Jr. Endowment Fund and the Department of Chemistry and Biochemistry at Ohio State for their support of our events. Our efforts to provide new opportunities to students would not be possible without their support.